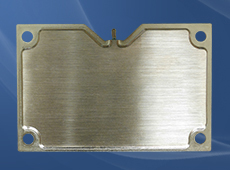 Liquid Cooling Cold Plate removes high rates of heat with low fluid flow, and are now being used for high power electronic components. 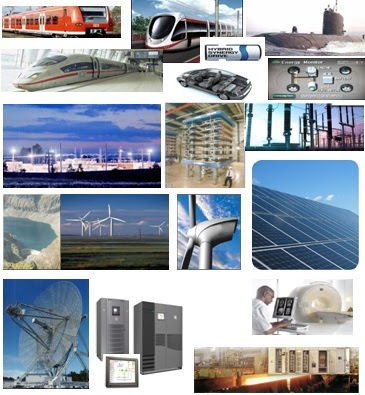 Power Converters、Wind power generation、Wind Turbines、Solar Inverters, etc. A vapor chamber is essentially a flat heat pipe that can spread heat evenly in two dimensions. It consists of a hollow copper shell that has an internal wick structure to transport the fluid to the heat source and a vapor area for the transport of the vapor away from the heat source. The entire chamber is operated under vacuum so that the operation fluid (water) vaporizes at room temperature. This is how the vapor chamber very efficiently transports heat evenly across the surface of the condenser, allowing all the fins to work as hard as the ones that are over the center of the heat source. The vapor chamber performance will increase over that of a metallic heat sink the larger the base area and the smaller in the heat input. Vapor Chambers are designed to provide critical thermal solutions in the most limited spaces. One of the advantages of vapor chambers is that they can be used as heat flux transformer, cooling a high heat flux from an electronic chip or laser diode, and transforming it to a lower heat flux that can be removed by natural or forced convection. We can handle heat pipe heat sink project from conception to production, deliver a customized heat pipe heat sink solution for companies in industries such as aerospace, electronics and many others. As a premier thermal management solutions provider with a strong focus on research and development, we can provide customized heat pipe heat sinks for your specific applications. 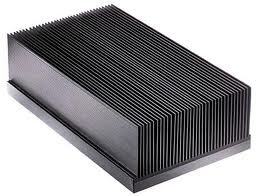 Three-dimensional simulation is extremely valuable in the design of Heat Pipe Heat Sink. Because of the complex thermodynamic process (evaporation and condensation) within a heat pipe, direct simulation of physical process is difficult and time-consuming. For most engineering designs, a simple workaround is to model the heat pipe as a super conductor with a high effective thermal conductivity. The longer the heat pipe is, the higher the effective thermal conductivity should be. The assumed effective thermal conductivity shall be corrected after prototypes are made and thermal measurements are performed. 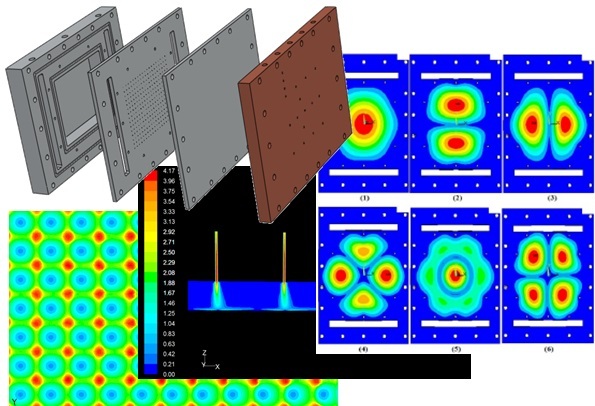 Fins can be assembled onto heat pipes in two methods. 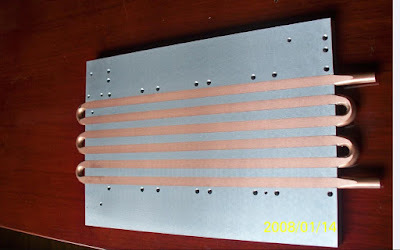 One is to solder fins to heat pipes, the other is to use interference fit (also called press fit or friction fit), in which the fins have holes that are slightly smaller than the diameter of the heat pipe. 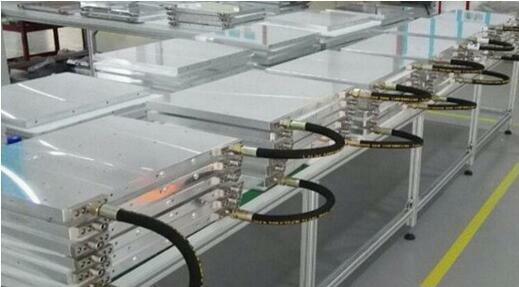 By pressing the fins onto the heat pipes with pressure, the heat pipe and the fins are tightly assembled. 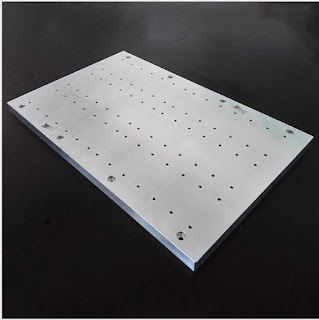 When temperature arises in working conditions, thermal expansion of the fins and heat pipes will make the assembly even more secure. Heat pipes offer extremely high thermal conductivity in their longitudinal directions. Depending on the lengths and manufacturing factors, the effective thermal conductivity of heat pipes can be 10 to 1000 times of the thermal conductivity of pure copper. When coupled with highly conductive fins or spreaders, heat pipes become a powerful tool that can quickly dissipate large quantities of heat to the environment or a location where additional cooling systems can be installed. 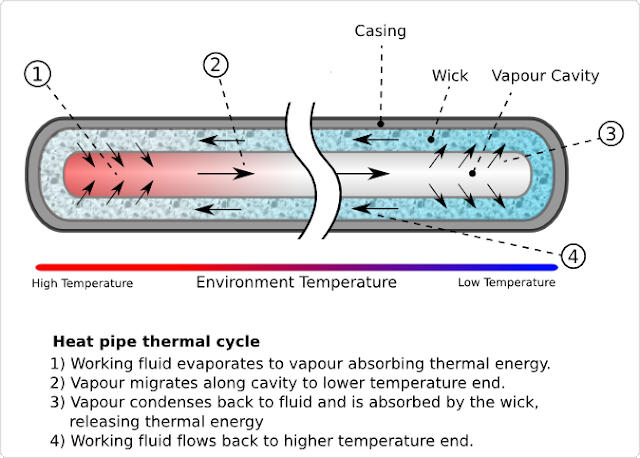 How a Heat Pipe Works? They are used to transfer heat with minimal temperature difference from the heat source (evaporator) to the heat sink (condenser) as well as to spread the heat across a surface. 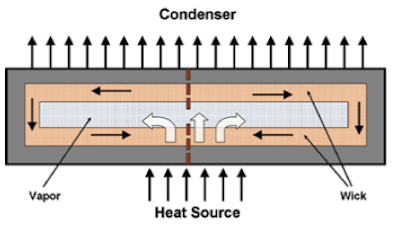 Many factors have to be considered in choosing a heat pipe for a specific application. The effective length (Leff) is a useful indicator of the length of a heat pipe as employed in a specific application (accounting for evaporation and condensation lengths). Heat pipes come in round or flat shapes. Flat heat pipes are easier to attach to heat dissipating components while the round heat pipes offer advantages for certain fin configurations at the condenser end. Skived fin heat sinks offer highly optimized cooling as they allow for higher fin densities but do not have an interface joint where heat transfer could be impeded. Unlike bonded or brazed Heat Sinks, Skived Heat Sinks are constructed from a single piece of material and therefore have no thermal resistance between the base and the fins. They are manufactured by precisely slicing the top of the base and folding it back and repeating at regular intervals to create the fins. The skiving process enables high fin density and thin fin heat sink geometries which provide optimal thermal performance. By packing as much fin surface area into a given volume, skived fin heat sinks have greater heat transfer than other single piece construction heat sinks such as extruded aluminum heat sinks. Compared to extruded aluminum, skived fin heat sink fabrication does not rely on expensive tooling which provides greater design flexibility. Instead, each fin is cut separately using the same tool which allows for lower tooling costs. Additionally skived heat sinks can be constructed of aluminum or copper allowing for full, one-piece copper solutions for high performance cooling. Compare the latest pin-fin HS with original extruded HS: cooling performance and total weight.